Estadio La Cartuja de Sevilla, also known as Estadio Olimpico de Sevilla, was built to serve as the centrepiece venue of the 1999 IAAF Athletics World Championships. It also formed part of Seville’s failed bids for the 2004 and 2008 Olympics. 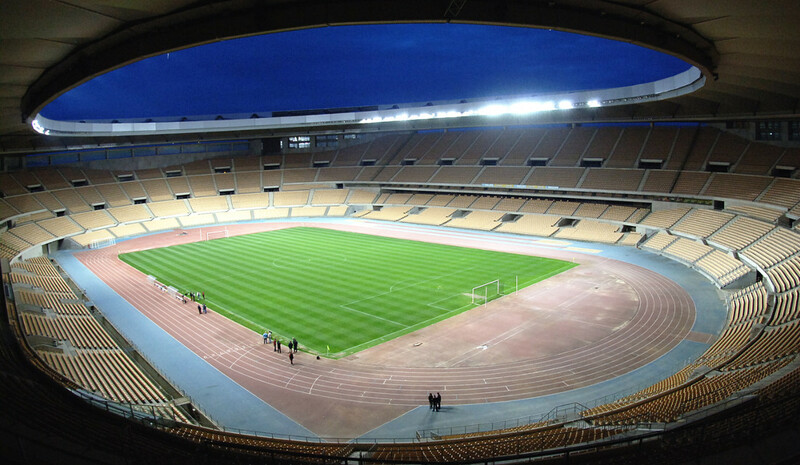 Estadio La Cartuja officially opened on 5 May 1999 with a friendly international between Spain and Croatia (3-1). 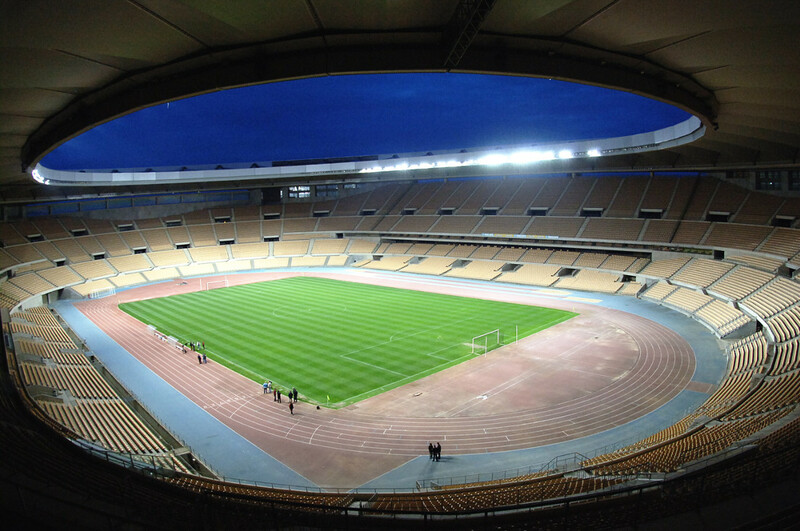 While the stadium has occasionally been used for football matches, both Sevilla and Betis decided to keep their traditional home and not move to La Cartuja. Over the years, the stadium hosted a number of internationals, Copa del Rey finals, and in 2003 the UEFA Cup final between Porto and Celtic (3-2). Currently, football matches at the stadium are scarce, but the stadium occasionally hosts concerts and other sports events such as the 2004 and 2011 Davis Cup finals. Estadio La Cartuja is located on the north-western edge of Sevilla at roughly 3.5 kilometres from Sevilla’s historic centre. The walk from the northern part of the historic centre takes about 40 minutes. More conveniently, the stadium can be reached with Cercania commuter trains. Catch line C2 from the main Santa Justa station and get off at station Estadio Olimpico right next to the stadium. Service is rather limited though as the line has few stations, but can be increased on event days. The journey takes about 15 minutes. Estadiocartuja.es – Official website of Estadio La Cartuja de Sevilla.